ببا توجه به مسئله لرزه‌خیزی کشور ایران و تأثیر وزن سازه بر میزان نیروی زلزله وارد بر سازه نیاز به سبک سازی سازه‌ها است تا هزینه-های مربوط به طراحی و ترمیم سازه ها در برابر زلزله کاهش یابد. ساخت بتن سبک سازه‌ای با استفاده از مواد افزودنی مختلف امکان-پذیر است. از جمله افزودنی‌های بتن میکروسیلیس است که نقش موثری در بهبود مشخصات بتن دارد. در این مقاله ماده افزودنی با توجه به تأثیر مثبتی که بر مقاومت فشاری بتن می‌گذارد؛ به عنوان جایگزین قسمتی از سیمان مصرفی در طرح اختلاط بتن استفاده شده است. بررسی مقاومت فشاری بتن سبک با افزودنی میکروسیلیس به میزان 4، 8 و 12 درصد وزنی سیمان، در سن‌های 28، 118 و 148 روز و جذب آب نمونه‌های 90 روزه از طریق مطالعه آزمایشگاهی انجام شده است. با بررسی مقاومت فشاری و نتایج حاصل مشاهده شد که مصرف میکروسیلیس تا 12 درصد باعث افزایش مقاومت فشاری نسبت به طرح شاهد می‌گردد. مقدار بهینه میکروسیلیس مصرفی در تمامی سنین برابر 8 درصد وزنی سیمان می‌باشد. با افزایش مصرف میکروسیلیس تا 12 درصد نیز، جذب آب بتن نسبت بتن شاهد کاهش و در نهایت باعث کاهش تخلخل بتن سبک می‌شود. کلیه آزمایش‌های این مقاله در آزمایشگاه بتن دانشکده عمران دانشگاه آزاد اسلامی واحد نجف آباد انجام شده است. Concerning the issue of the seismicity of Iran and the effect of structure weight on the amount of earthquake load exerted on the structure, there is the need for stylization of structures in order to reduce the costs of designing and repairing structures against earthquakes. It is possible to build structural light-weight concrete by using different additive materials. Microsilica is of the additives of concrete, which is of a significant role in improving concrete characteristics. In this paper, as regards to the positive influence that the additive material puts on the concrete compressive strength, it has been used as a replacement of a part of the cement used in the concrete mix design. Investigation of the compressive strength of light-weight concrete with microsilica contents of 4, 8, and 12 weight percentage of cement at the ages of 28, 118, and 148 days and the water absorption of 90-day samples have been performed through experimental study. It was observed by investigating the compressive strength and the obtained results that using microsilica up to 12% leads to increase compressive strength relative to the control sample. The optimal amount of the used microsilica at all ages is equal to 8% of cement weight. In addition, by increasing of the consumable microsilica up to 12%, the concrete water absorption is reduced as compared to the control sample, and finally causes to reduce the porosity of the light-weight concrete. All the experiments during this study have been performed at the concrete laboratory of the civil engineering faculty of Islamic Azad University, Najaf Abad Branch. کلیه حقوق این سایت اعم از طرح و محتوا متعلق به انجمن مهندسی سازه ایران می باشد. مسئولیت صحت و سقم مطالب اعم از محتوای مقاله، نام، تخصص، مرتبه، و مسئولیت افراد به عهده نویسنده مسئول مقاله است. 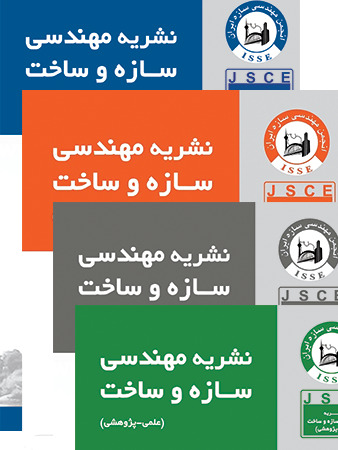 Journal of Structural and Construction Engineering (JSCE) by Iranian Society of Structural Engineering (ISSE) is licensed under a Creative Commons Attribution-ShareAlike 4.0 International License. Based on a work at www.jsce.ir. Permissions beyond the scope of this license may be available at www.jsce.ir.